A civil rights revolution is taking place in Sudan, with hundreds of protests across the country since mid-December 2018. Governmental security forces have been responding with a show of strength in a brutal campaign of violence and harassment. There have been reports from inside the country of excessive use of teargas and live ammunition, torture and illegal detainment. Journalists have been arrested and university buildings have been shut down. According to opposition groups, over fifty people have now been killed. Protester and recent university graduate, Abdul-Metaal Saboun, told Associated Press he was detained and tortured for three days for taking part in a demonstration, but that he has not been discouraged. “We have no choice but to resist”, he said; “there is nothing that makes me frightened of them anymore”. Like Saboun many of those protesting in Sudan are young, in their 20s and 30s, which has led to comparisons with the Arab Spring uprisings of 2011. Demonstrations were initially triggered by measures taken in the face of worsening economic conditions (such as the tripling of the price of bread), following the loss of 75% of the country’s oil reserves when South Sudan seceded from Sudan in 2011. These oil fields accounted for 50% of Sudan’s GDP at the time of the secession and as a result inflation has risen dramatically over the last eight years. Half of Sudan’s population now lives below the poverty line. Following the outrage over the rising cost of basic commodities, demonstrations countrywide have grown to incorporate grievances of all kinds. As with the Arab Spring, protesters are calling for increased individual freedoms and recognition of their human rights. President Omar al-Bashir – who has been in power for almost three decades – is refusing to step down despite repeated calls for him to do so. UNICEF is calling on Sudanese authorities to prioritise the protection and safeguarding of children – after reports that some minors have been killed – and to ensure their access to both education and health in accordance with the Convention on the Rights of the Child. 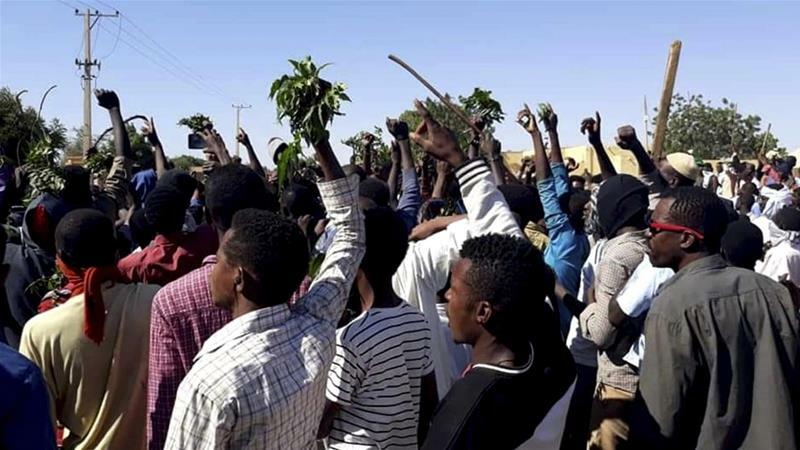 According to Jehanne Henry of Human Rights Watch, “the longer the protests go on, the more violence and abuses we might see the Sudanese government use… the government uses the same sorts of tactics every time there are protests. The risk is that it will get bloodier”. If al-Bashir does resign, says the the International Crisis Group, a democratic change in leadership may allow for a peaceful transition. The Group is pushing for international governments to create incentives for al-Bashir to step down.